Another week has gone by. Time seems to flying at the moment. Tonight I wanted to write about a band that I've been meaning to write about for ages. 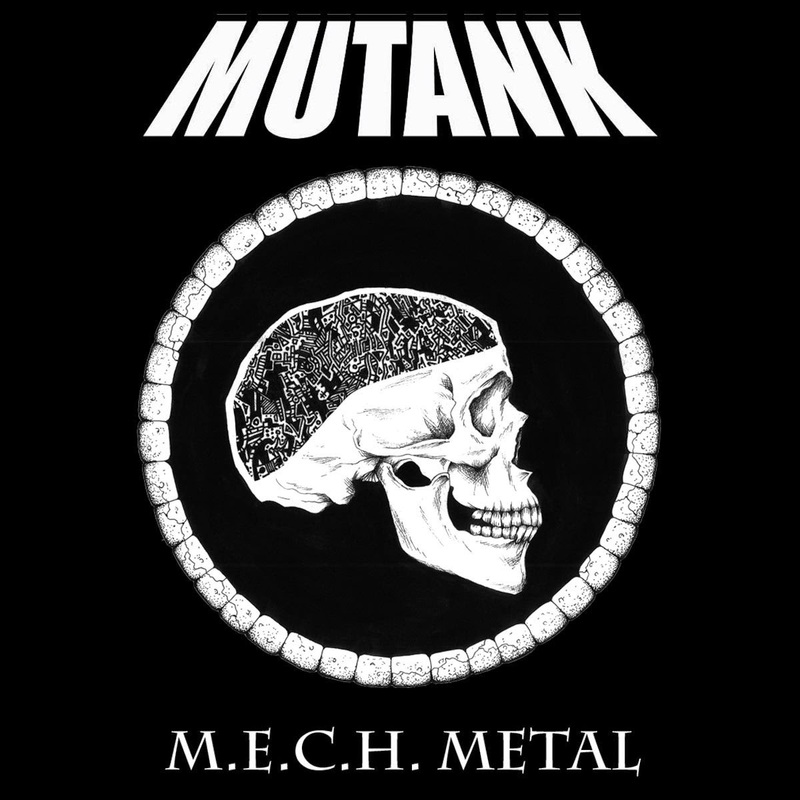 Canadian thrashers Mutank released M.E.C.H Metal in February 2014, which was their first full-length following their 2013 demo. It was self-released both digitally and on tape. On browsing their recently announced shows, I noticed that they're due to play with Night Demon (Century Media) in May and last year they played Wacken! Listening to M.E.C.H Metal, I can see how Mutank ended up playing Wacken last year. Their slick thrash on the opening title-track is full of rip-roaring guitar and keg party vibes. They play with a balls-out style that in completely in-tune with their Canadian heritage. I’m not sure if they’ve played in bands previously, but it certainly sounds like it on Mutank. What’s even better is that M.E.C.H Metal was recorded live, so you know you’re getting a true record featuring the band’s own sweat and blood. If you’re expecting Minions to be an ode to those little yellow beings from Despicable Me, you’re gonna be sadly disappointed, as its a headbanger’s dream. They up the ante on W.A.R with a sub two-minute burst of gloriously groovy thrash. Mutank may contain crossover but they truly excel when playing straightforward thrash. Not even some of scene legends in recent times can lay claim to that crown! Heavy Hand Of The Doomsday Clock proves that, even at mid-pace. The production of this album helps Mutank out as well. It’s pretty beefy and isn’t too clean. I guess a thrash band that makes use of too many filters and effects is no longer a thrash band. No Spoils, No Mercy flies by in a flash. Imagine being caught in a whirlwind and you’re close! Corporate Child rages with a great sounding solo, before album closer Thrashback In Time calls you to battle. The drum beat that kicks in at the sixty-second mark will have you head-banging like nobody’s business. Much like the whole album. Prepare to spin dry in your own circle pit. This is ace. Tapes and merch has sold out.